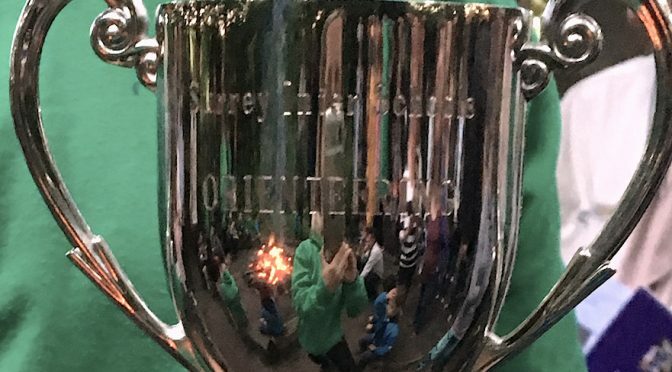 Esher Scouts Orienteering Club, affiliated to South London Orienteers, has continued its run of form in 2016 by winning the Surrey Schools & Youth O-Festival. The competition was organised by Mole Valley Orienteering Club and held on Monday 27 June in Norbury Park, across the River Mole from Box Hill south of Leatherhead. The two courses – Yellow and Orange – were more challenging than the team were used to and vegetation was particularly high after the recent rain. However that didn’t hold the team back. William from Hinchley Wood won the Yellow course by 40 seconds, with Idris also from Hinchley Wood, in fourth place. Their younger siblings Cai & Bronwen and Harry & Nicholas finished as pairs in eighth and ninth place. Oxshott Scouts and SLOW members Thomas, Benedict and Sofié secured fifth, sixth and eleventh places on Orange respectively. 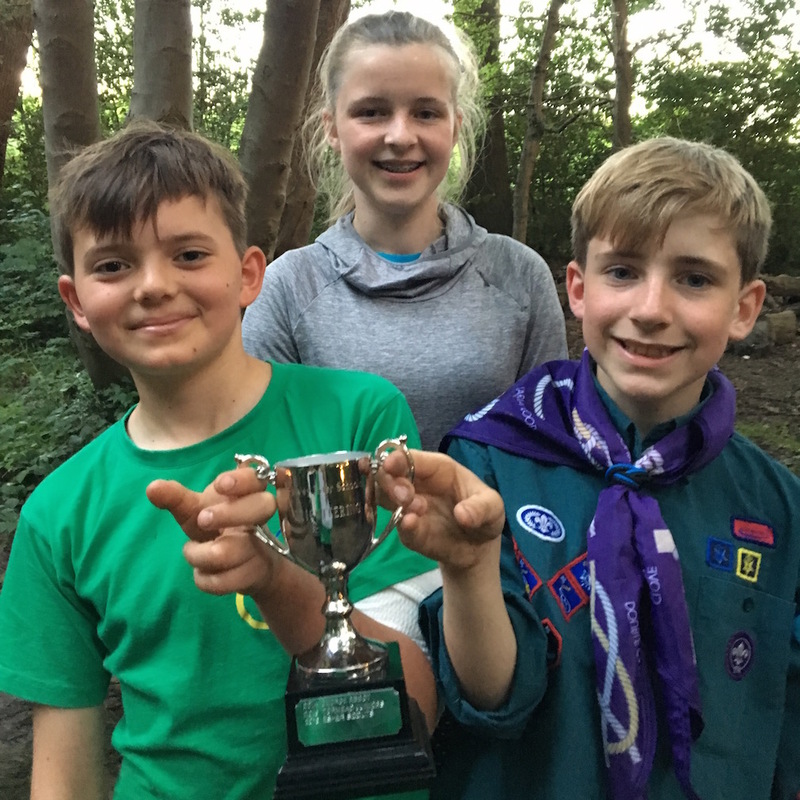 Despite fielding a relatively small turnout, and with everyone still in their first year of orienteering, Esher Scouts took first place with 72 points ahead of George Abbott School with 65 points and Tormead and Boxgrove in joint third with 63. Esher Scouts won the Southern Navigators’ 2015-16 Saturday Series earlier this year, and is looking forward to building on these good performances with the existing members and hopefully some newcomers in the coming season. SLOW is hosting a junior orienteering event with Sheen Shufflers at Barn Elms Playing Fields in the early evening of Friday 15 July. If you want to find out more about orienteering, please contact Teresa Turner, membership secretary, at .